When it comes to cars, we're often told that you can drop them on the ground, but in the process, you'll sacrifice ride quality. And if you go too low, forget about track days, too. So you might be skeptical when a company comes along and claims that you can have it all - a slammed S2000 that handles great and returns great ride quality. 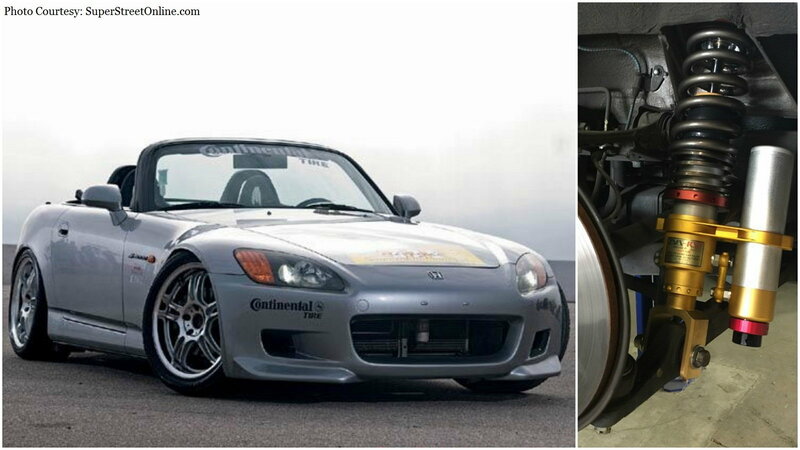 Super Street Online sure was, until they got their hands on this JIC Magic coilover equipped S2000. 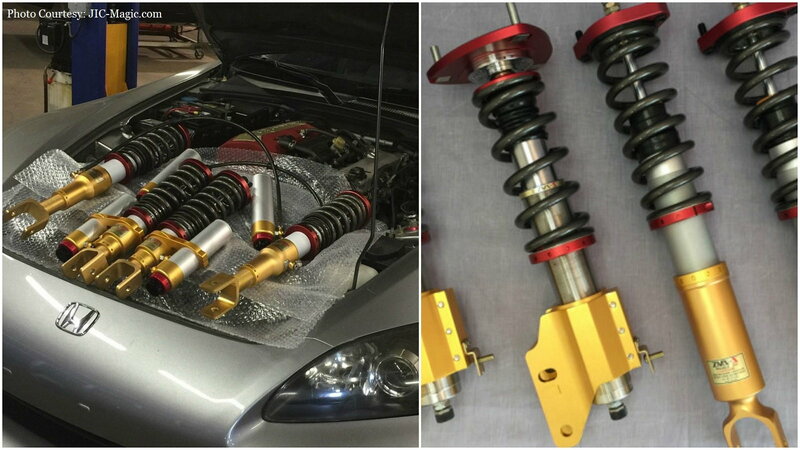 >>Join the conversation about These JIC Magic Coilovers right here in the S2ki Forum! JIC's S2000 is your favorite Honda model with a host of modifications. The F20C engine produces 195 hp and 132 lb-ft of torque at the wheels. Performance mods consist of an AEM intake, Berk Technology 50mm header and high-flow catalytic converter, JIC titanium exhaust, Clutchmasters stage three clutch, and lightweight flywheel. 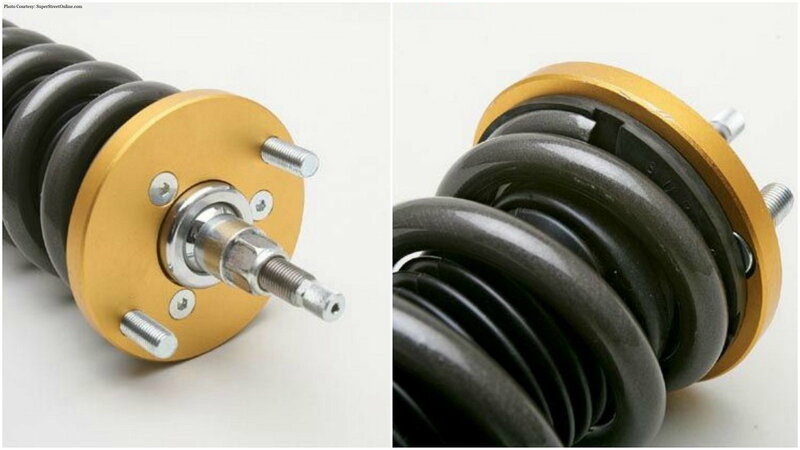 Suspension mods include a JIC Magic shock tower bar, X-brace, SCCH spherical bearing bushings in the front control arms, and a Megan Racing anti-bumpsteer kit. Project Mu brake pads help slow it all down. Wheels are 18" AMEs, wrapped with Continental ContiSportContact 3 245/40/18 tires up front and 255/35/18 tires in the rear. 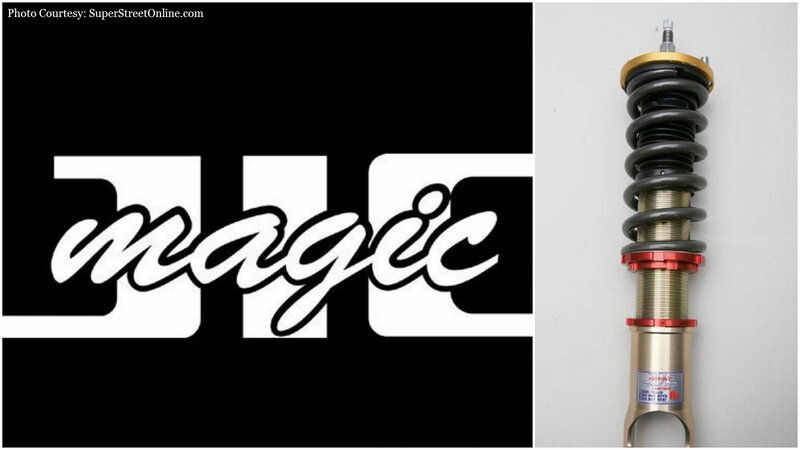 When you've got "magic" in your name, you better produce a pretty darn impressive product. And it appears that JIC Magic does just that. SSO headed out to the freeway in the JIC S2000 to see how it performed in real world conditions. And they came away impressed at the car's comfort level and smooth ride. And despite the firmness of the setup, feedback from sharp bumps was very much controlled and not jarring. 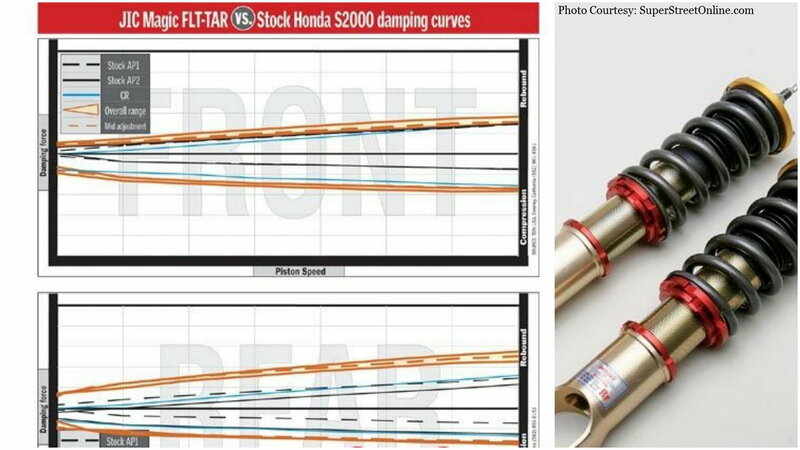 So things turned out pretty good on the street, but how do the JIC coilovers perform on the track? SSO said that the car felt "great" overall, and proved rather easy to maintain a racing line in. The confidence inspired by the upgraded suspension translated to tangible improvements in lap times as well. The JIC car outperformed its stock counterpart in every turn except one right-hander in section five and on a high-speed transition. SSO attributed this to the 18-inch wheels, however, which weren't the best choice for track use. Overall, SSO came away very much impressed with the JIC coilovers. They did note that the car exhibited sensitivity to varying road surfaces on the highway, however, displaying a tick of upshock sharpness as the result of too much compression damping. On the track, their only complaint also stemmed from excessive damping, which caused it to pack down on bumps. Tire shock also made it a little hard to get the power down when exiting corners. But otherwise, it's all champagne and roses. Perhaps you can have your proverbial cake and eat it, too.